Often, Medicare fraud is brought to light because a brave employee saw a wrong and spoke up. Notably, however, insiders are not the only ones who can bring a Medicare fraud whistleblower lawsuit (aka a qui tam action). Medicare beneficiaries can also witness and report Medicare fraud. We are proud to partner with Medicare beneficiary whistleblowers in addition to working with current/former employees on health care fraud matters. We investigate the whistleblower’s concerns and, when appropriate, file suit. Our mutual goal is recovering wrongfully diverted funds and preventing on-going/future frauds. As a Medicare fraud whistleblower’s law firm, we also vigilantly work to protect the whistleblower from retaliation and ensure s/he receives fair compensation should the information leads to a recovery. In Fall 2012, RxAmerica (a subsidiary of CVS) agreed to pay $5.25 million to settle a Medicare fraud action that consolidated two suits brought by Medicare beneficiaries. According to Law360, Robert Fischer filed suit against RxAmerica in a New York federal court after noticing suspiciously large payments on an Explanation of Benefits (“EOB”) report sent to him by Medicare. As explained in a Business Wire report, Jan and Max Hauser also filed suit against RxAmerica bringing their claim in a North Carolina federal court. The Hausers also carefully reviewed an EOB statement and they noticed that RxAmerica was charging the government more money for prescription drugs than had listed in the Plan Finder tool they had used when selecting their Medicare Part D plan. This discrepancy meant the Hausers consumed their allowed benefits faster than expected/promised and had to pay out-of-pocket for their prescription medications. 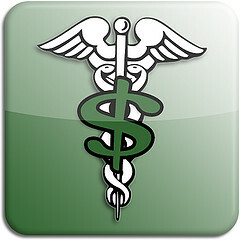 Both the Hausers and Mr. Fischer were able to determine that RxAmerica was overcharging Medicare, filing higher prices than they had represented previously, a discrepancy Mrs. Hauser called “astronomical.” According to the above-cited sources, in some cases RxAmerica asked for 10 times the advertised cost. The dual beneficiary-filed suits illustrated that pricing misrepresentations were not a one-time fluke. The consolidated action resulted in a settlement agreement that required the company pay $5,250,000 which would be used to compensate beneficiaries who spent money out-of-pocket because of the fraudulent pricing. Pursuant to the False Claims Act, the Hausers and Mr. Fischer will receive 15% to 30% of the settlement for reporting the fraud and their work investigating and prosecuting the case. CVS/RxAmerica also agreed to a plan intended to prevent future pricing fraud. In another Medicare fraud action, a claim brought by a beneficiary resulted in a $325 million settlement that included an $8 million payment to the whistleblowing beneficiary. According to The Houston Chronicle and information resource HCPro, James DeVage sought physical therapy for back pain. He noticed HealthSouth was billing Medicare for treatment even after he stopped receiving care from the office. Although he tried to alert Medicare, his concerns weren’t addressed until he engaged legal counsel and filed suit. Mr. DeVage’s claim was consolidated with accounting fraud claims and other health care fraud claims based on the same or similar conduct. The 83 year-old stands to garner more than $8 million for his efforts. The Chronicle reports that Mr. DeVage is a former tax examiner who spent 30 years in the Army, served in three wars and earned a Bronze Star. He told an interviewer: “The money is nice. The real reason was to stop the fraud, and we did stop it. When something’s wrong, I like to do something about it.” In addition to the payment, HealthSouth agreed to a five-year corporate integrity agreement. Doing the right thing isn’t always easy. It can, however, be made much easier when you have the right people to help. If you’ve witnessed what you believe is Medicare fraud, whether you witnessed it as an employee or as a beneficiary, we can help you fight back. Medicare fraud steals money from every U.S. taxpayer and endangers the health of Medicare patients. 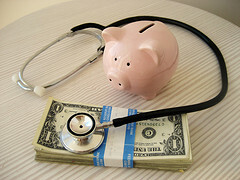 Call (800) 427-7020 to arrange a no-cost, no-obligation consultation with our Medicare whistleblowers’ attorney.